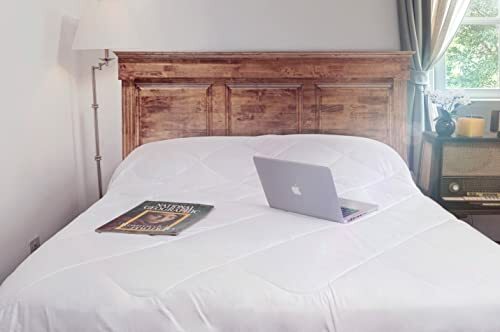 Like wool comforter, an alpaca comforter does a wonderful job at regulating body heat and wicking away excess moisture. 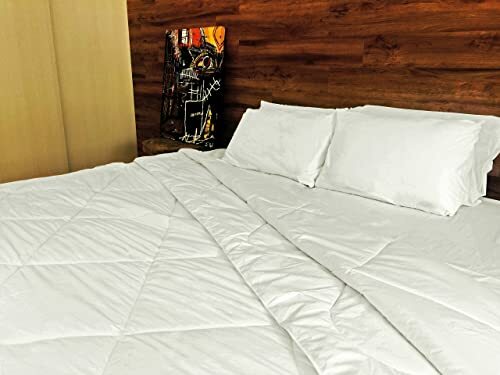 Alpaca fiber is lighter and silkier than wool fiber so the alpaca comforter is much lighter than a wool comforter and also warmer. I have been using this comforter for about a year now. It kept me warm in the winter and cool enough in the summer (though I do keep the a/c on in the summer). I prefer the alpaca comforter over down because it seems to keep my temperature more consistent throughout the night, and won’t clump up the same way. The alpaca comforter was heavier than I thought it would be, but I got used to it after a week or two. You also can’t wash alpaca fur, you just air it in the sun in the summer once a year so keep that in mind if you have pets or kids that might spill something on it. Overall, I have been very happy with it.